It can take time to get a room to a stage where it not only looks really beautiful, but has all the practical elements you need for day to day living. When I moved into my house, it was like a giant jigsaw puzzle – it has taken time to make the pieces fit into the perfect place. This vintage sideboard is a good example of this, as it is now residing in it’s third location within my house. 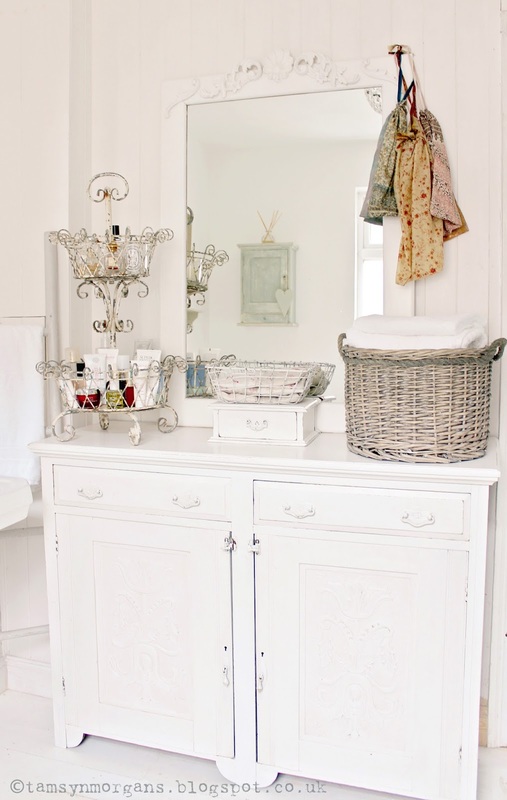 I had a hunch it would fit here and look great, and also provide me with fantastic storage for all my bathroom clutter. Not only that, but it came with a beautiful mirrored back which now sits above my mantel piece in my living room (see it here). It’s always worth looking in charity shops for these sideboards – I found this one in my local British Heart Foundation. They are made beautifully and will stand the test of time. 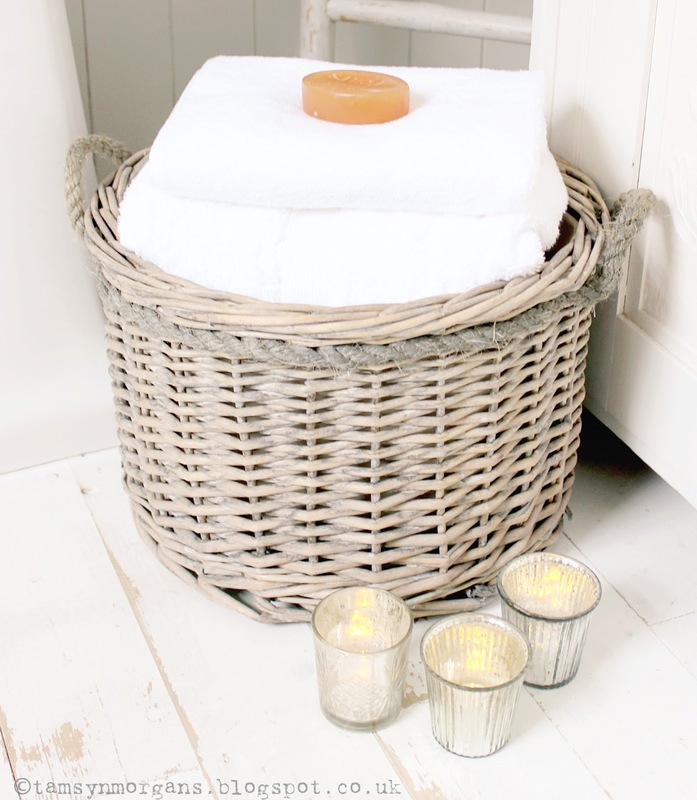 I’m also very much in love with this gorgeous willow basket and towel bale that the lovely people at Soak & Sleep sent to me. 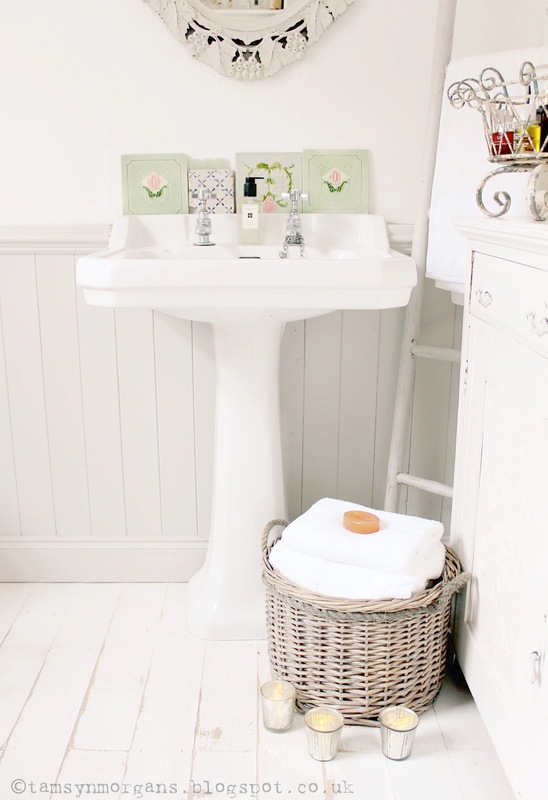 A house can never have too many baskets, and with its pale rustic simplicity this one is perfect for storing anything around the home, but especially a stack of their soft, fluffy towels. This basket comes as a set of two (find it here) and I think the larger one is going to look really beautiful with my Christmas tree in it!